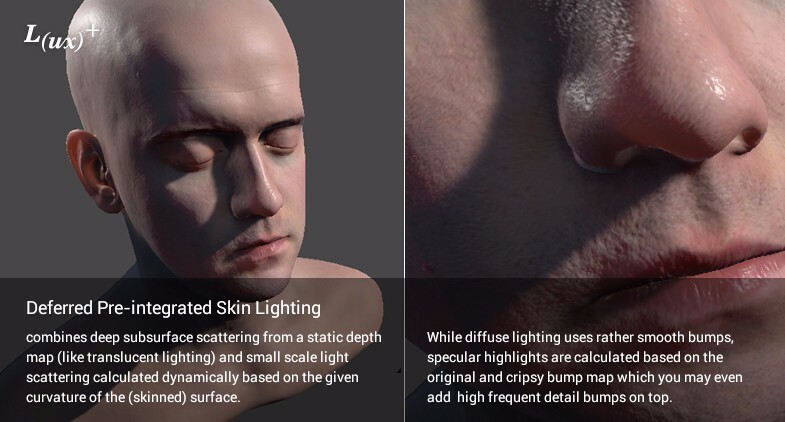 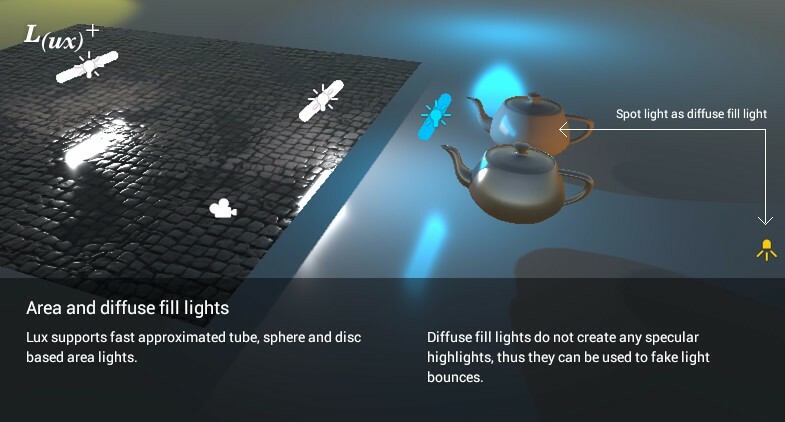 Lux Plus is the commercial branch of the open source Lux shader framework and brings Lux's advanced lighting features such as skin, translucent and anisotropic lighting to the deferred rendering pipeline — all without adding any additional data to the built in gbuffers. 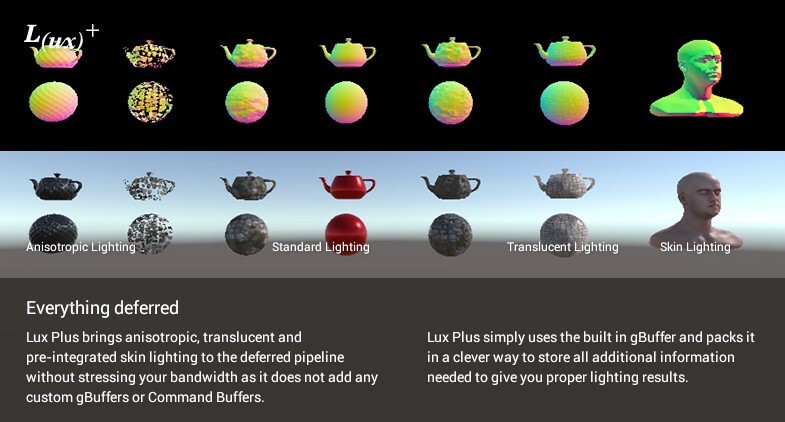 So unlike other solutions Lux Plus will not stress your memory bandwidth furthermore but uses a cleverly packed default gbuffer. 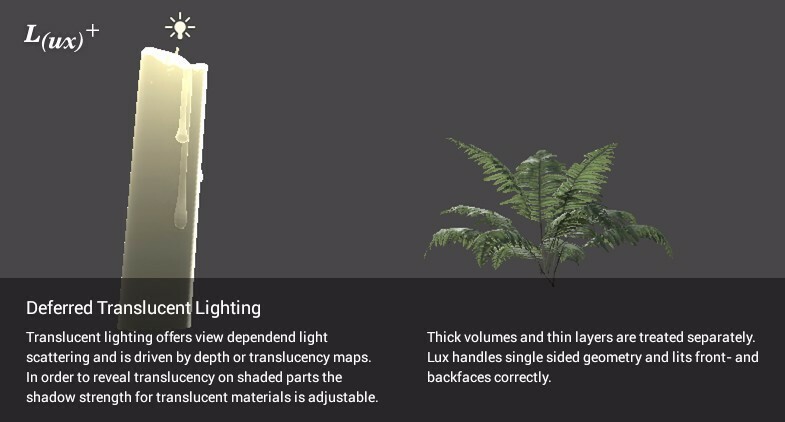 Lux Plus needs at least 8GB of RAM and has been successfully tested with DX11, DX9 and OpenGLCore on Win and Mac using nvidia GPUs and Unity 5.4.2, Unity 5.5.0b10, Unity 5.6.1., Unity 2017.2.0f3 and Unity 2018.1.